Bernice, Corney Creek Great Outdoors Festival (4/19 - 4/20): Food booths, arts and crafts, music, poker run and many other events take place. Good entertainment for the whole family. 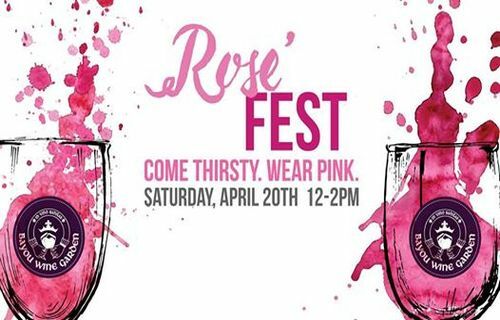 New Orleans, Rosé Fest at Bayou Wine Garden (4/20): A celebration of the awesome plethora of pink wine from around the world and all those who love to drink them! Shreveport, 2nd Annual Bayou Blowout Car, Truck & Bike Show (4/20): It’s going to be a fun-filled, Easter weekend of car culture, festivities. Alexandria, Concrete & Adrift: On the Poverty Line (3/1 - 6/22): An invitational exhibition featuring regional and national contemporary artists addressing poverty and homelessness. Alexandria, Girls in Stem: Zoology (4/20): Girls ages 6-12. $20 per girl. We will be learning about different animals, the environments, and how to care for them! Alexandria, La Traviata (4/27): Join Rapides Symphony Orchestra for our season finale, a semi-staged production of Verdi's beloved tragic opera, La Traviata. Alexandria, Sordid and Sacred: The Beggars in Rembrandt’s Etchings (3/1 - 6/22): This exhibition features 35 rare etchings by Rembrandt van Rijn (1606-1669) executed between 1629 and 1648. Arnaudville, ÉTOUFFÉE FESTIVAL (4/26 - 4/28): The festival features many great events, including carnival rides, live musical entertainment, food, and bingo. Baton Rouge, 2019 Clash of the Cooks: Jambalaya Showdown (4/27): Clash of the Cooks is a non-profit, annual fundraising food competition in Baton Rouge that was established to raise money for the on-going medical expenses for families battling cancer. Baton Rouge, Across the Atlantic: American Impressionism through the French Lens (3/8 - 6/9): This extraordinary exhibition, drawn entirely from the collection of the Reading Public Museum, explores the path to Impressionism through the nineteenth century. Baton Rouge, CAA Dog Adoption Event (4/27): Raising Cane's Baton Rouge (Siegen Lane) is donating their famous lemonade & tea as an extra reason to swing by. Need we say more?! Baton Rouge, CES Crawfish Cook-off (4/26): CES' 6th Annual Crawfish Cook-off will be held Friday, April 26th at 12 PM. Baton Rouge, Childrens Garden Festival (5/4): This program is held for ages 6-12 years old. All children MUST be accompanied by a parent or guardian during the event. Register in advance to Angie Wall at angwall@cox.net. Baton Rouge, Crawfish King Cook-Off (5/3): Crawfish King Cook-Off is a team crawfish boil where 45 teams will compete for the title of Crawfish King. This event will be held in Downtown Baton Rouge at Live After 5 on Friday, May 3, 2019. Baton Rouge, Dead Horses (5/10): What happened next is the story of Dead Horses’ stunning new album, My Mother the Moon, a record full of trauma and triumph, despair and hope, pain and resilience. Baton Rouge, Dinner in the Field 2019 (4/28): It's that time of year again - Baton Rouge's premiere farm-to-table dinner event! Baton Rouge, Easter Egg Hunt (4/20): We are excited to offer an exciting event here at Gospel Light! Our Easter Egg Hunt is a great community event for the entire family! Baton Rouge, First Free Sunday at Capitol Park Museum (5/5): Are you too busy to visit the Capitol Park Museum during the week? Bring the whole family to explore Louisiana’s history and culture for special hours on the First FREE Sunday of the month! Baton Rouge, Healthy Kids Day (4/27): Healthy Kids Day is the Y's national initiative to improve the health and well-being of kids. Baton Rouge, Homecoming Dances (5/4): Much of the choreography performed for this weekend of shows was created by former BRBT dancers who have gone on to have professional careers as dancers, choreographers, or educators. Baton Rouge, Homecoming Dances (5/3 - 5/4): Baton Rouge Ballet Theatre concludes its 2018-19 season with a delightful mixed bill that welcomes home many of BRBT’s most accomplished alumni as both dancers and choreographers. Baton Rouge, Irene Kelley in Concert (4/20): You know her for her #1 country song "I'm a Little Bluer Than That" by Alan Jackson and from her two #1 bluegrass albums. We know her as the purest voice in country music today. Baton Rouge, Live After Five (5/3): Free community concert series in Downtown Baton Rouge. Local music, food, artists, kids obstacle course and more! Baton Rouge, Louisiana Earth Day (4/28): Celebrate Louisiana Earth Day’s 29th Anniversary! With 70 exhibitors offering engaging activities for attendees of all ages, the 2019 Louisiana Earth Day offers something for everyone! Baton Rouge, No Such Thing as Impossible Bike Ride (5/5): May 05, 2019, join McMains Children's Developmental Center for a scenic ride along River Road. The race bike ride will begin and conclude at Pointe-Maire and lunch will follow. Baton Rouge, Once Upon a Time...A 25th Anniversary Picnic (5/5): Bring a picnic and enjoy a special day on the Old State Capitol grounds from 1-4 P.M. Sunday, May 5. Baton Rouge, Pets & Paddle (4/27): This all-in-one event, in cooperation with Friends of the Animals, and sponsored by our friends Subaru of Baton Rouge is an annual fundraiser and pet adoption program. Baton Rouge, Sunday Brunch (5/5): Enjoy an exceptional brunch menu complete with a classic assortment of traditional dishes along with a few southern specialties. Baton Rouge, Sydney & Caitlyn Live Music (5/4): La Divina Italian Cafe of Baton Rouge, located in The Acadian Village Shopping Center next to Trader Joe's, is locally owned and operated by Lance and Mary LeBlanc. Baton Rouge, The Mixed Nuts at LAuberge Casino Baton Rouge (4/26): Baton Rouge! The Mixed Nuts take over The Edge for the last time in 2019 on Friday, April 26 at 10pm! Baton Rouge, Walk for Humanity Baton Rouge (4/27): This annual 5K Run/1 mile health walk provides finanical resources for the Institute for Global Outreach's programs. Bossier City, Addysons Forget Me Not Trot Fun Run and 5K (4/27): Addyson's Forget Me Not Trot Fun Run and 5K on Saturday, April 27, 2019 at 8:00 AM at Christ Fit Gym. Bossier City, Book Signing at the Refuge! (4/27): Immediately following his presentation, "Venomous ID: Forget the Rules! ", award-winning author Micha Petty will be signing copies of his best-selling book, "A Primer on Reptiles & Amphibians." Bossier City, Chocolate & Champagne 2019 (4/27): It's that time again! Prepare yourself for an evening of decadence and indulgence. Bossier City, RARC of Northwest Louisiana - Competition 3 (4/27): RARC of Northwest Louisiana Marine Discovery Competition 3 at Bossier Civic Center on Saturday, April 27, 2019. Breaux Bridge, Breaux Bridge Crawfish Festival (5/3 - 5/5): The Breaux Bridge Crawfish Festival is devoted to the crawfish and our love of dancing. Hear live music during the festival including Cajun, zydeco, and swamp pop music on three stages. Breaux Bridge, Breaux Bridge Crawfish Festival Association (5/3 - 5/5): The Breaux Bridge Crawfish Festival is devoted to the crawfish and our love of dancing. 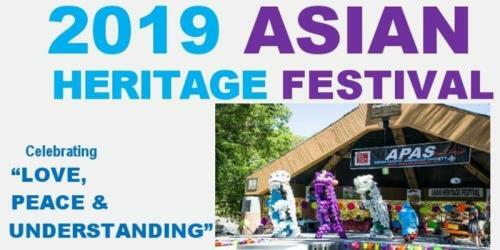 Broussard, Lao New Year (4/19 - 4/21): Lao New Year Celebration a three-day festival that includes live music and more! Franklinton, Antique Tractor, Engine & Truck 2019 State Show (5/3 - 5/4): International Harvester Chapter 31 presents its Annual State Show, May 3-4, 2019. Featured equipment is IH, but all makes are welcome. Greenwell Springs, Breakfast with the Bunnies (4/20): Come celebrate the Joy of Easter at Magnolia United Methodist. Hammond, Geaux Yoga Hammond (4/27): Geaux Yoga celebrates all the brave individuals affected by cancer in our community through a fun and relaxing yoga class presented by Downtown Yoga. Harvey, Benji Kaine (4/20): Emerging from the heart of the Westbank, Recording Artist and Songwriter Benji Kaine, Is Undoubtably New Orleans' best kept secret. Houma, Relay for Life of Terrebonne Parish (4/27): Relay is a team fundraising event where team members take turns walking around a track or designated path. Kenner, Easter Community Picnic (4/20): Join us for an evening of FREE family fun! We will have hamburgers, hotdogs, sno-balls, egg hunt, crafts, mini-golf, and face painting. Kenner, Secret Church (4/26): You're invited to the Secret Church simulcast featuring David Platt on Friday, April 26, 2019 6PM-Midnight in The Boulevard Room of Williams Blvd Baptist Church. Kenner, Six Gun Solution Live (4/20): The wait is over Smittys.... the glam slam kings of 80’s hair metal are back!!! Nikki Stixxx, Steve Violence, Mikki Danger and introducing Waltt Wylde and Dee Slick!!!! Lafayette, 2019 Season Opening Day (4/27): 2019 Opening come to help us celebrate. We will be doing a Hog roast all afternoon and serving will start at 6. Thank you to our sponsor Cajun Realtor Phillip Smith. Lafayette, Bayou Vermilion Paddle Battle (4/28): Bayou Vermilion Paddle Battle is the third race of the Triple Crown, (Tour du Teche & Quichita Challenge). Lafayette, Chas Justus & The Jury / La Bande Chaudière Noire (4/28): Join us for Festival After Hours with Chas Justus & The Jury & La Bande Chaudière Noire! Lafayette, Easter at Le Bal du Dimanche à Vermilionville (4/21): Enjoy Easter with family and friends during our Le Bal du Dimanche à Vermilionville. The band will be announced; so stay tuned. Lafayette, Flight: An Inversion Series (4/27): This fun and invigorating 1.5 workshop will be unlike any previous inversion workshop you've attended. Lafayette, Good Friday, Commemoration of the Lords Passion (4/19): All are welcome to join us as we Commemorate the Lord's Passion. Lafayette, IQ Plus - Lafayette, La - Sword N Board (4/20): We’re hosting our first IQ, and we're doing it big with a $1,000 prize pool for top eight! Lafayette, Louisiana Rank Testing (4/20): Public and family are welcome to observe. Lafayette, Lumber-Versary (4/20): It’s our 2 year anniversary festival. Domino Tournament, BINGO (Blackout), Children’s games - Fun Jump-Cake Walk-Puppet Show-Face Painting- Ring Toss- and more Games for children. Lafayette, Maddies Footprints: A Toast of the Town Gala 2019 (5/3): Maddie's Footprints is gearing up for our 9th annual spring benefit, a Toast of the Town Gala! Lafayette, Saylor Brasseaux Live at Izumi Ramen (4/27): Join Saylor Brasseaux as she performs live original music and your favorite covers throughout the decades. Lafayette, Stations of the Cross at St. Barnabas (4/19): Join us on Good Friday for the Stations of the Cross, a devotion to the Passion of Christ which recalls the series of events at the end of Jesus' life fro his condemnation to his burial. Lake Charles, ABA & Autism Awareness 2019 (4/27): Please join us for this free Autism Awareness event! Guests will have a great time playing interactive games while snacking on some popcorn, and lemonade. Lake Charles, Bingo de Mayo (5/5): Join the Lake Charles Symphony Sunday, May 5th at the Cash & Carry Building for Margaritas & Bingo. Lake Charles, Derby for Dollars (5/4): An afternoon with food from the Lake Area's Finest Restaurants, Spirits, Music, Televised Derby Action, Equestrian Jumping Exhibition, and Contests for the Best Ladies'Hat and Gent's Best Derby duds. Lake Charles, Easton Corbin (5/3): Corbin has built a catalog of signature hits that include "A Little More Country Than That" and "Roll with It", as well as the hit "I Can't Love You Back". Lake Charles, Francis G. Bulber Youth Orchestra Spring Concert (5/3): The Dr. Francis G. Bulber Youth Orchestra will present their semester-end concert on Friday, May 3, 7:00 PM, in the FG Bulber Auditorium on McNeese campus. A $5 donation is accepted at the door. Lake Charles, Lake Charles Imperials v North Texas Saints (4/27): Come out and watch the Lake Charles Imperials represent the MLBA South Central Conference East at their next home game, against the MLBA South Central Conference West’s, North Texas Saints. Lake Charles, McNeese Rodeo Celebrity Boxing Challenge 3 (5/4 - 5/5): Cowboys and Cowgirls All-Out Boxing Event. The event will feature 3 1-minute Rounds of All-Out Boxing. Lake Charles, National Secure Your ID Day - Spring Shred Fest (4/27): Join us on Saturday, April 27 as we partner with Vital Records Control and Team Green for National Secure Your ID Day as we provide shredding at our Spring Shred Fest. Lake Charles, Nature Documentation Hike at Tuten Park (4/26): Come out to Tuten Park to help us document all the nature we can find to help Southwest Louisiana's effort to win the 2019 City Nature Challenge! Lake Charles, Spring Art Walk (4/26): Each year on the last Friday in April, the Arts Council of SWLA and the City of Lake Charles brings Spring Art Walk to downtown Lake Charles. Lake Charles, World Visions Global 6K for Water (5/4): 6 Kilometers is the average distance people in the developing world walk for water - water that is often contaminated with life-threatening diseases. Leesville, Mayfest (5/3 - 5/4): Vernon Parish is proud of its its history as a part of "No Man's Land" along what was the disputed border with Mexico. Mandeville, The Great Big Doorstep (4/27 - 5/12): A Depression-era comic masterpiece, The Great Big Doorstep centers on the Crochets, a Cajun family who live in a ramshackle house between the levee and the Mississippi River. Marion, Mayhaw Festival (5/3 - 5/4): Festival is located at old Marion High School. Marrero, Marrero Cajun Festival (4/26): The Cajun Festival will be held on April 26-28, 2019. The three day festival will feature great music, talent search, silent auction, chicken drop bingo, raffle, kidsfest, delicious food, and more. Marrero, Marrero Cajun Festival (4/26 - 4/28): Cajun Fest, The third full weekend in April brings thousands of visitors to our school grounds for great music, delicious food, and more fun than your weekend should allow! Metairie, New Orleans Walk Like MADD 2019 (4/27): Walk Like MADD is MADD's signature fundraising event to help us raise both awareness and funds to eliminate drunk and drugged driving. Monroe, BINGO Brunch at the Food Bank (4/26): Join the Food Bank of Northeast Louisiana for a Bingo brunch event! Monroe, Passover Seder 2019 (4/19): Join us for this year's Passover Seder! As we plan, we will be posting details, and we may be calling on you for help! Monroe, Stock the Shelter Benefiting Ouachita Parish Animal Shelter (4/27): Stop by Monroe Animal Health Center and support our local shelter! Monroe, Summer Camp & Kids Activities Expo (4/27): Plan your entire summer in one day @ the Summer Camp & Kids Activities Expo! Monroe, The Reactors (4/19): Good Friday celebration of good food, drink, and music by the Reactors. Natchitoches, Relay for Life of Natchitoches Parish (4/26): Relay is a team fundraising event where team members take turns walking around a track or designated path. Natchitoches, The Plantation Photographs of Robert Tebbs (4/26 - 11/2): The exhibition features 43 gelatin silver prints documenting plantation architectural styles from the 18th and 19th centuries. New Iberia, “Running of the Bulls” 5K/1 Mile Fun Run (4/27): Particpants may dress in white shirt, and white shorts/pants with a red sash around neck and waist, just like the historic Bull Run in Pamplona, Spain. New Orleans, Adam Deitch, (5/3): Traveling all over the world is my way of life. I appreciate people taking time to hear my sounds and feel the shows. New Orleans, Big Freedia (5/3): Big Freedia, known as the Queen of Bounce, is a New Orleans-based rapper and ambassador of Bounce music. New Orleans, Bondye: Between and Beyond (1/25 - 10/13): Louisiana-born artist Tina Girouard, in a cultural exchange with Haitian artists in Port-au-Prince, created twelve sequined prayer flags inspired by the religious rituals of Vodou. New Orleans, Cabaret Tremé: An evening with LEAH CHASE (4/27): The New Orleans Jazz & Heritage Foundation presents a special concert: Cabaret Tremé: An evening with singer Leah Chase. don't miss! New Orleans, Childrens Dance Workshop - The Wizard of Oz (4/28): Young dancers are guided to learn creative movement and choreography based on the workshop theme. New Orleans, Create-A-Cuff Class (4/27): A great class for the person who loves their jewelry to make a statement. Learn how to securely attach crystals and stones to a pair of brass bangles. New Orleans, Cumbia Calling Dance Party (4/19): Bar Redux & DJ Malaria Sound Machine PresentCumbia Calling Dance Party on Friday, April 19, 2019 at 10:00 PM. New Orleans, Dumpstaphunk (4/28): Dumpstaphunk stands out among New Orleans' best as one of the funkiest bands to ever arise from the Crescent City. New Orleans, Earth Day Block Party (4/20): Celebrate Earth Day with us! We will have vendors with produce, hot plates, live music by our neighbors and fun activities! All ages welcome. New Orleans, Easter Brunch (4/21): This Easter, join us for a decadent brunch buffet with live entertainment in the most elegant ballroom in New Orleans at The Roosevelt New Orleans. New Orleans, Easter Brunch (4/21): Join us for Easter Brunch at River 127 in The Westin New Orleans Canal Place and enjoy our bottomless mimosas, full buffet, and live music! New Orleans, Eric McFadden (4/27): Eric McFadden is a virtuoso of the six-string. New Orleans, George Porter Jr. (4/28): George Porter, Jr. is best known as the bassist of The Meters, along with Art Neville, Leo Nocentelli and Joseph Zigaboo Modeliste. New Orleans, Ghostnote (5/4): Headed by Snarky Puppy’s multi-Grammy–winning percussion duo of Robert “Sput” Searight and Nate Werth, Ghost-Note is an explosion of sound. New Orleans, Hilton Carter: Wild at Home Book Tour (4/20): Plant stylist, creator of green interiors, visual storyteller and author of Wild at Home. New Orleans, HOLLA-Back Brunch (4/20): All Past, Present, and Future Youth, Parents, Staff, and Volunteers are Invited. New Orleans, INDGF World Training Day presented by Exiting Gracefully LLC (4/20): Join us for a 90 minute live training event in our community to learn about support and caring for those facing end of life. New Orleans, Kayak Demo Day - New Orleans (4/20): While at our demo, feel free to hop inside the Deutsches Haus for a cold German beer, a warm pretzel or if you just need a place to relax and enjoy the view of the bayou. New Orleans, Keith Sonnier: Until Today (3/15 - 6/2): This exhibition marks first comprehensive museum survey for Keith Sonnier, a pioneering figure in conceptual, post-minimal, video and performance art of the late 1960s. New Orleans, Liz Phair (4/28): Liz began her career in the early 1990s by self-releasing audio cassettes under the name Girly Sound, before signing with the independent record label Matador Records. New Orleans, Louis Prima Jr. and the Witnesses (4/27): Louis Prima Jr. and the Witnesses (louisprimajr.com) are bringing Prima music into the 21st century. New Orleans, Melissa Etheridge (4/28): Hailing from Leavenworth, Kansas, USA, Melissa Etheridge was born on the 29th of May 1961. She is an alternative rock singer songwriter and activist who became a commercial success in the 1990s. New Orleans, Mr Twin Sister (5/5): Mr Twin Sister (formerly Twin Sister), are an American indie rock, dream pop quintet, who hail from Long Island, New York. 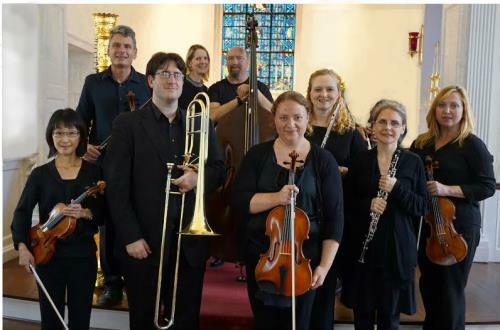 New Orleans, New Orleans Medley: Sounds of the City (1/19 - 8/4): The music of New Orleans is the living product of dynamic cultural interactions played out over centuries in this diverse southern port city. New Orleans, Nigel Hall (4/28): Soul provider Nigel Hall is in many ways an artist who needs no introduction. New Orleans, Oteil and Friends (5/3): Two-time Grammy winning bassist Oteil Burbridge has been in the music business touring and recording for over three decades. New Orleans, Pre-Jazz Fest Brunch (5/4): Enjoy food, drinks, music, and great company - all while supporting Make Music NOLA! New Orleans, Rising Appalachia (5/5): As world travelers for nearly two decades, Rising Appalachia have merged multiple global music influences with their own southern roots to create the inviting new folk album, Leylines. New Orleans, Roast of Carl Arredondo (4/26): Join Lighthouse Louisiana at the Roast of Carl Arredondo III set for Friday, April 26th at Manning's Sports Bar and Grill from 6pm - 9pm. New Orleans, Roosevelt Collier (4/27): Soft-spoken by nature, south Florida-bred Roosevelt Collier does his hollering on the sacred steel guitar. New Orleans, Second Annual Tee-Up for the Troops (4/19): It’s that time of year! Come join VFW Post 8973 for our second annual Tee-Up for the Troops Golf Tournament. New Orleans, Stanton Moore (4/27): Born and raised in New Orleans, Stanton Moore is a dedicated drummer and performer especially connected to the city, its culture and collaborative spirit. New Orleans, Suplecs + Malevitus + The Green Demons (4/26): A night of kickass music from some great local bands and SUPLECS playing the hits... it ain’t all Jazzfest on our remote island. New Orleans, Temple Sinai Second Night Seder (4/20): All are invited to Temple Sinai's annual second night seder on Saturday, April 20! New Orleans, The California Honeydrops (5/3): The California Honeydrops don’t just play music—they throw parties. New Orleans, The Creole String Beans (4/26): Creole String Beans are the classic New Orleans, Swamp Pop. and R&B powerhouse sextet. New Orleans, The New Mastersounds (5/3): The New Mastersounds have been delighting audiences with their infectious brand of funky soul-jazz since they formed in Leeds, UK, in 1999. New Orleans, The Nth Power (4/28): Proving that soul music can be exponentially greater than the sum of its parts, The Nth Power is on a mission to share the light. New Orleans, The Pianist of Willesden Lane (5/10 - 5/26): The Pianist of Willesden Lane is a powerful and inspirational play and according to the San Francisco Chronicle it’s “an astonishing tour de force”. New Orleans, Timothy Duffy: Blue Muse (4/26 - 7/28): Timothy Duffy creates one-of-a-kind direct positive tintype portraits of American musicians using an American photography process that goes back to the nineteenth-century. New Orleans, Vernacular Voices: Self-Taught, Outsider and Visionary Art From the Permanent Collection (3/8 - 7/14): Vernacular Voices brings together a range of works by Self-taught, Outsider and Visionary artists from the American South to showcase the Museum’s significant collection of Vernacular Art. Oil City, Gusher Days Festival (5/4): Gusher Days Festival presents a unique opportunity for the Oil City and surrounding communities to come together and celebrate its oil heritage. Opelousas, Relay for Life of St Landry Parish (5/4): Relay is a team fundraising event where team members take turns walking around a track or designated path. Raceland, Lockport Food Festival (4/26 - 4/28): This festival is known as the swamp pop extravaganza of Louisiana's Cajun Bayou. Ruston, RA Venue Concert Series presents Reverend Joel David (4/27): Reverend Joel David will be in concert at Ruston Artisans Venue on Saturday, April 27th from 8-10pm. Ruston, Race For Good 2019 (4/27): Anytime Fitness Ruston presents Race For Good. This will consist of a 5k road race along with a Cycling Tour with a 50 mile, 25 mile and 12 mile option. Shreveport, Croquet Classic (4/27): The 20th Annual Croquet Classic features croquet for adults of all skill levels, beautiful music and fabulous food from Ono's Hawaiian Grill. Shreveport, Floatin Through The Decades: Bears Prom Night 2019 (4/20): Join us on 4/20 for our first Bear's Prom Night!! Shreveport, Madama Butterfly (4/27): This tragic tale revolves around the young Japanese geisha, Butterfly. She is to be married to Pinkerton, an American Officer on assignment in Nagasaki. Shreveport, Monty Python’s Spamalot (4/28): Spamalot tells the legendary tale of King Arthur and the Knights of the Round Table and their quest for the Holy Grail in seriously ridiculous Monty Python style! Shreveport, Sci-Fi Spectacular (5/4): May the fourth be with you! Join us for a celebration of music from your sci-fi movie favorites, including Star Wars, Star Trek, Back to the Future, Close Encounters of the Third Kind, & more. Shreveport, The Magic of Eric Eaton: Comedy Magic Show (4/26): Doors open at 6:30 p.m. Dinner and drinks will be available at Stem Events. Slidell, 16th Annual Crawfish Cookoff (4/27): The Hospice Foundation of the South's signature event! The largest one day event on the Northshore boasts over 40,000 pounds of crawfish. Slidell, Bring on Spring with Stacy and Steve! (4/20): Bring your friends and enjoy your evening with Stacy and Steve as we bring On Spring at The Brass Monkey. Slidell, Fish Dinner (4/19): The American Legion Post 185 Auxiliary will sponsor a fried fish dinner from 5 pm – 7pm. Menu includes Fried Fish, Fries, Coleslaw, and a dessert. There is a $12 donation per plate. Slidell, Jr Comic Book Club (4/21): Sundays starting at 1pm, children of all ages are welcome to come join our team of younger collectors. Slidell, Sister Act (4/26 - 5/12): When disco diva, Deloris Van Cartier, witnesses a murder, she is put in protective custody in the one place the cops are sure she won't be a found: a convent! 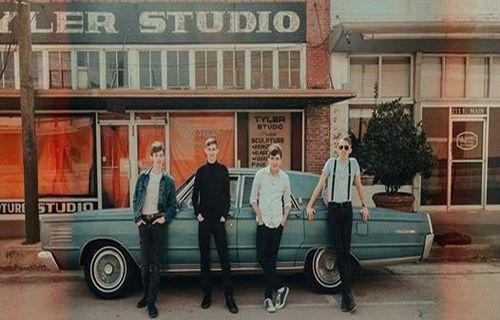 Sulphur, Blues & Burgers (5/4): Spend the evening with the The Mines Community Theatre on Saturday, May 4 at 5:30 p.m.
Tickfaw, Tickfaw Italian Festival (4/26 - 4/28): The Italian Festival will be held on April 26-28, 2019. A well organized event that will surely fit your interest. be sure not to miss! Winnfield, 2019 Louisiana Forest Festival (4/26 - 4/27): forestry is the number one industry for Winn Parish, and a top industry for the state of Louisiana.